LinkedIn was officially launched in 2003 and is now the world’s largest professional network. It helps connect over 433 million members in approximately 200 countries through valuable insights, industry news and access to jobs. The portal is packed full of useful resources such as articles, groups and community discussion boards that will help you stay up to date on your interests. LinkedIn is bustling with recruiters looking for people to fill all types of vacancies, from temporary and part-time to interim and full-time. Even if you’re not yet looking for a full time job, it is best to set up a LinkedIn profile as soon as possible to start building out a list of connections that may become useful in the future. At the same time, the professional networking site can help you find a summer internship or even land a placement year position. In order to take advantage of all the above and to be able to search for jobs posted on LinkedIn as well as to start building out a list of connections, from friends and family to experts and industry leaders, you need to create a profile. Once you’ve created a profile you can add your teachers, professors and previous managers and even ask them for recommendations which will be publicly displayed on your profile, as long as you wish to display them. So what are you waiting for? 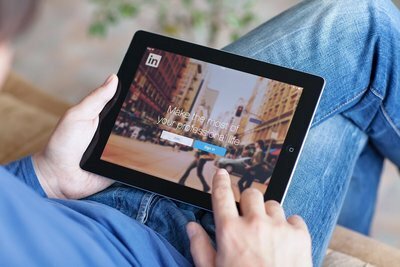 Get on LinkedIn now and start building your personal brand. It’s never too early to start. Once you’re all set up make sure to visit our LinkedIn profile here and follow us!